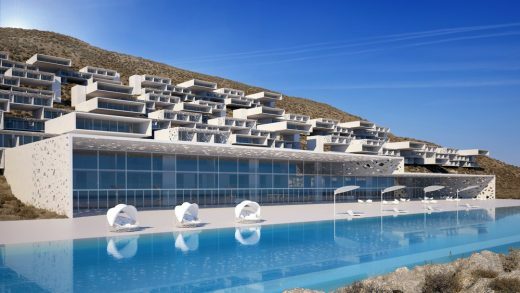 The challenge of this project was to create a resort combining the local construction detailing and style with the requirements of a modern building, while taking into consideration its gorgeous natural setting. 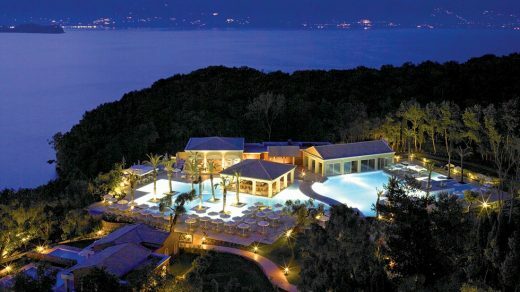 With this in mind, great care was taken in locating its entrance, its roads and its buildings so that this first class resort could offer its customers amazing views of the peninsula. The suggested design constitutes a spatial narrative of the attributes of this particular place. The dialogue between the proposal and the natural landscape of the area, as well as with the living memory of the tradition, outline the main design principles. 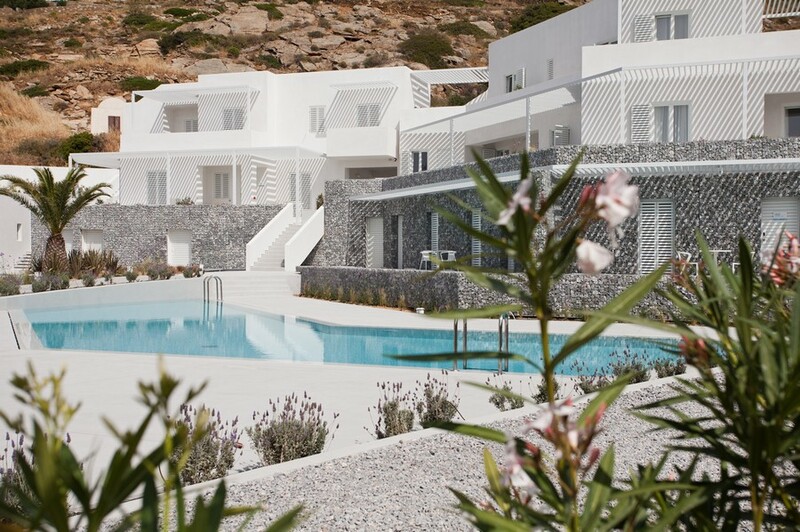 Sometime during the mid 1980s, Blue Bay Hotel Ios** was built in a 3900sqm plot at the Port of Ios island -overlooking Sikinos – without being renovated or reconstructed for more than two decades. 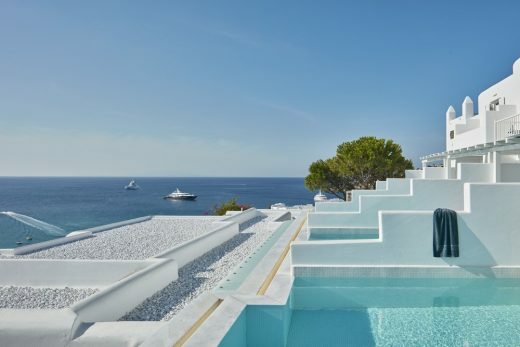 This luxury hotel is one of a number of such top-end establishments in the Cyclades group of Greek islands. 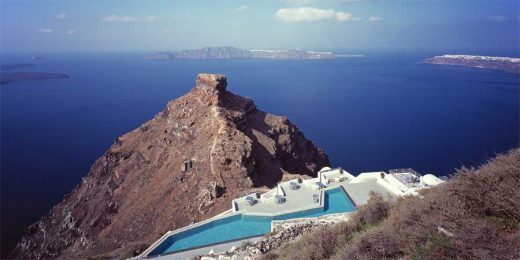 Its construction in 1979 was overseen by George Daktylides, and was the first hotel in the Myconian hotel collection. Barbouni is a beach restaurant of approximately 300sqm area. The architects were asked to create a contemporary refuge from the strong sun and wind, protected from the winter waves. The structure needed to be in harmony with the sea-front location and make the most of the views of the horizon and sunset. The designer created a space with colours where originally there is no colour, where movement comes out of stillness, feelings from silence and transparency.